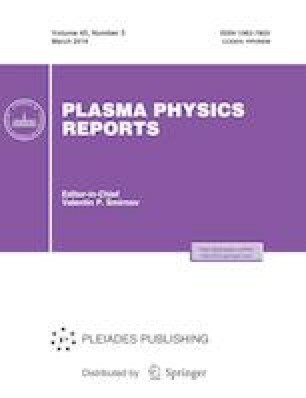 UV radiation of high-voltage pulsed multispark surface discharge in atmospheric-pressure air in the spectral range of 200–380 nm was investigated. The discharge was a sequence of microplasma objects with a specific energy deposition of ~1 kJ/cm3 and electron density of 1017 cm–3. Copper and stainless steel were used as the electrode materials. It is found that lines of atoms and ions of the electrode material dominate in the discharge UV spectrum. The UV radiation intensity was measured using the actinometry technique. The UV radiation efficiency relative to the energy deposited in the discharge is found to be ~1%. The authors are grateful to K.V. Artem’ev for his participation in spectral measurements and discussion of the results obtained.